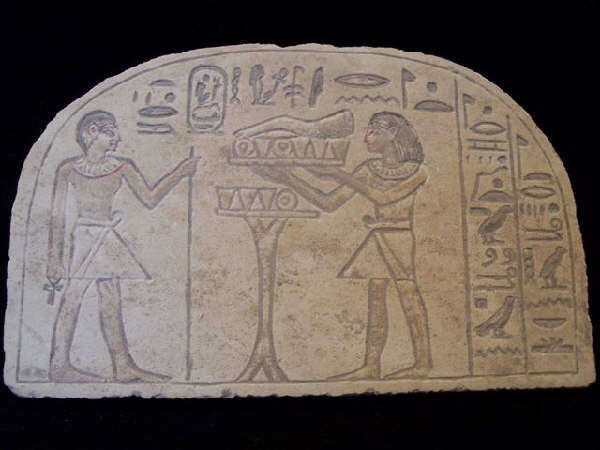 This is a marvelous Stella style stone relief of an ancient egyptian offering scene. The high priest of the temple stands wearing a closely shaved hairstyle, beaded collar, and linen kilt. In his hand he holds an Ankh. Before him stands a similarly dressed man, whom would be a temple worker. 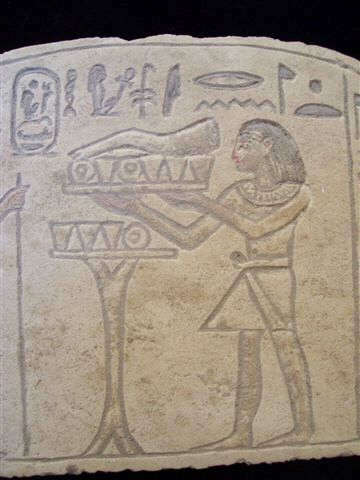 The temple worker prepares the offering which he holds before the high priest. There are hieroglyphic inscriptions along the top and down the right side of the piece. The artistry and skill used in making this brilliant piece is just wonderful. There is a cartouch on the top of this stella. There appears to be faint traces of color shown to accentuate the skin color of the male figures. This is a stunning and rare relief. Dont miss out. we don't guarantee this items exact age as we don't have Carbon Dating,nor chemicle analysis Abilities. This is solely Due to high cost and possible damage to the items and the known fact carbon dating is done only on materials once living And therefore we can not verify the exact age time frame of this PIECE down to the exact Dynasty, year etc. For this reason we start with a low cost and with no reserve! I obtain my items from various well known and legitimate sources (antique dealers some of those dealers have been working in this business since 1930's and 1940's) private collections and or estates), We have received all information regarding our items from second hand sources, and the timeline set on our items is to be used as a guideline for the above period listed. 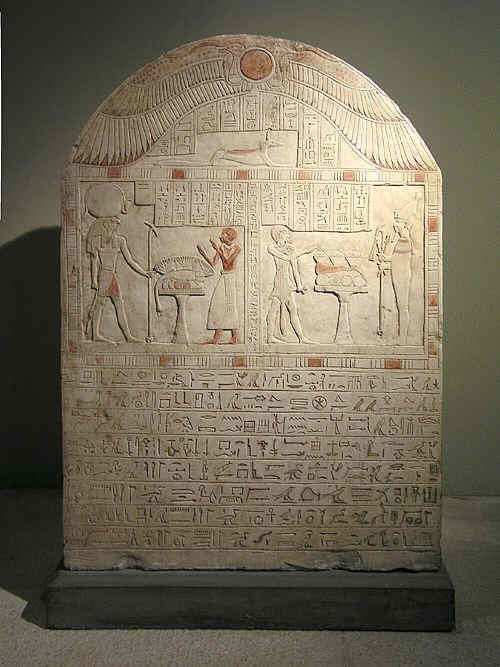 Stela of Djed-Bastet-iuf-ankh, who held priestly offices in the cult of Amon in the Late Period. Egyptian Museum, Cairo, Egypt.